The mom life can be a bit hectic at times. Ok, a lot hectic at times. Like this weekend, I had to work Saturday Clinic, transport my luvbug to a birthday party at the paintball park, and then to his basketball game. I also managed to sneak in a little brunch and catching up with some girlfriends while he partied. Whew! Fly mommy style was definitely in order. 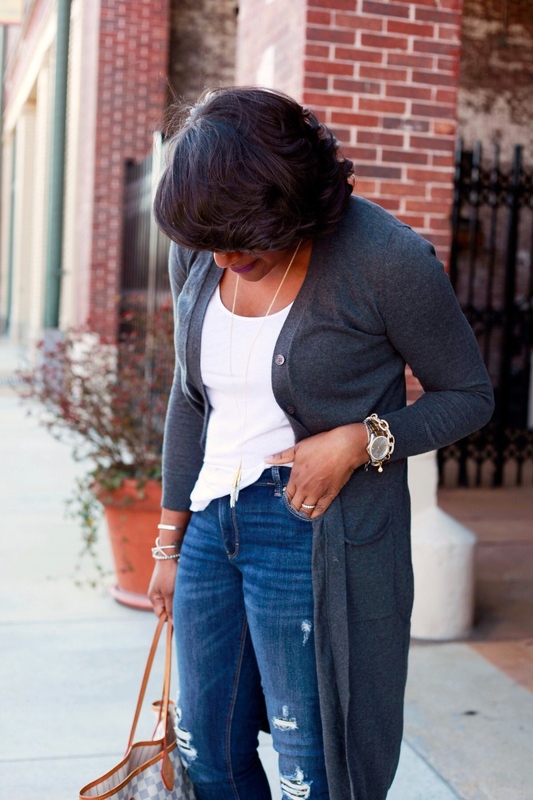 To me, fly mommy style is easy and effortless + comfortable and chic. 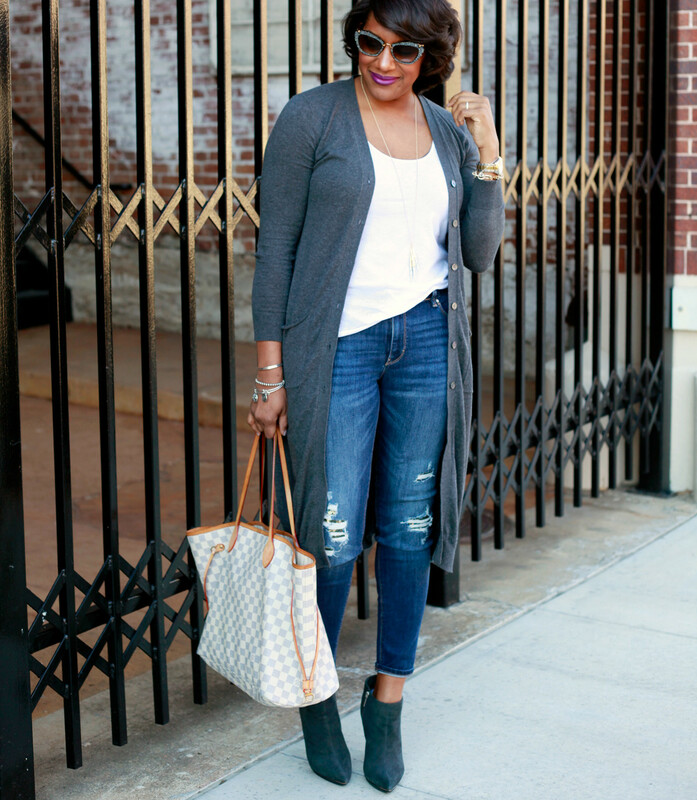 Jeans and a basic tee is an effortless no-brainer, but I up’d the fly factor by adding a longline cardigan duster/sweater and booties. It was stylish and perfect for all of the running around I had to do. A carry-all tote is an absolute MUST for busy moms. Add dope sunnies and we can go all day. Just kidding. I was beat by 6pm. But cute though. 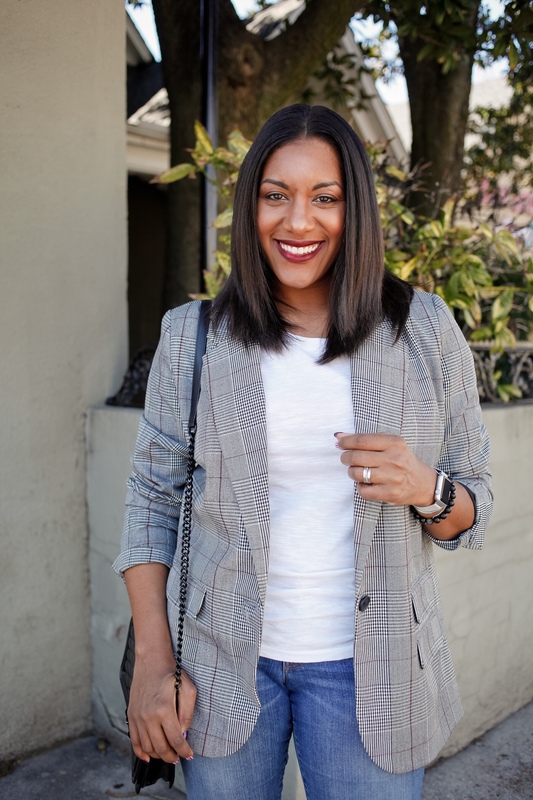 Oh, and booties with a heel could be a bit much if you have to run around after little ones so simply throw on some cute flats or slip-on sneakers and keep it moving. Let’s say RIP & retire the yoga pants, mkay? Yes! There are sequins in my jeans. #FlyMommy status indeed. 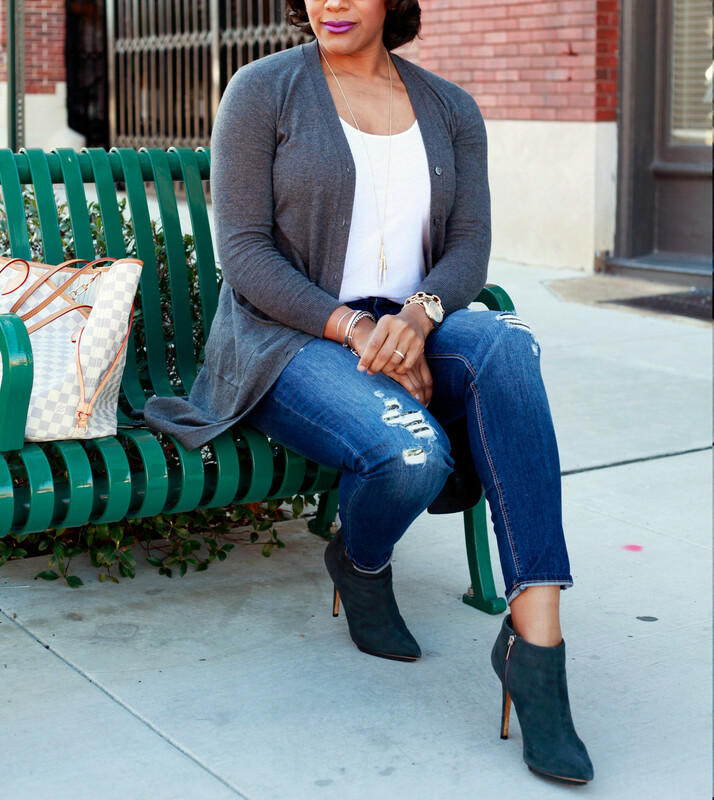 According to Q, you don’t have to put your fab on the back burner when mommy duties call. 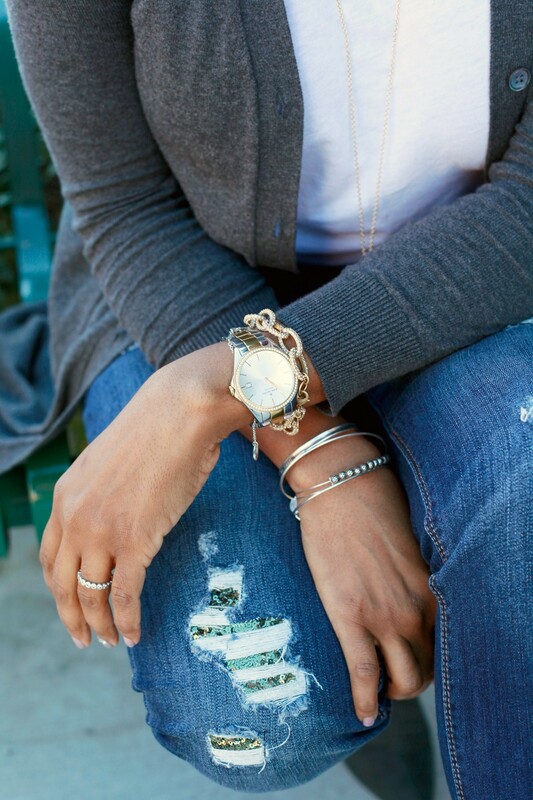 By keeping it simple with jeans and tee as your base, adding fly accessories is super easy. Don’t forget a good tote bag for all of the mommy essentials we’re sure to need. 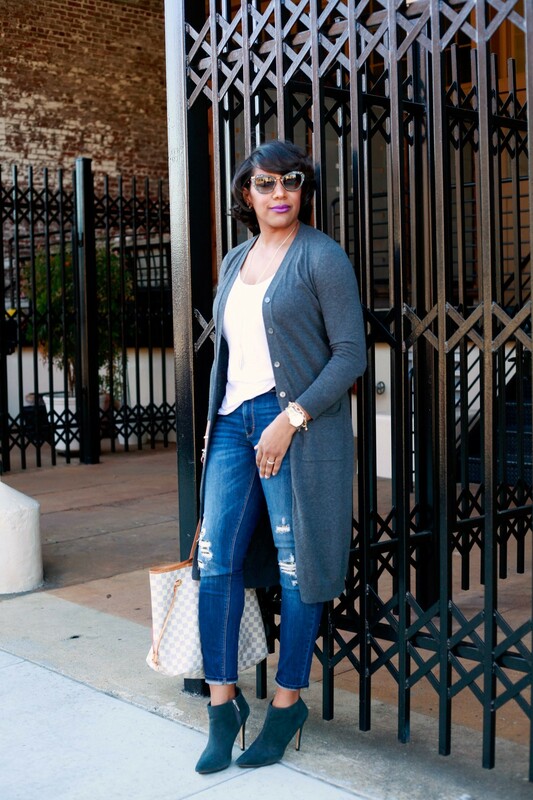 Go by SugarPlum Consignments to grab this super comfortable longline cardigan. 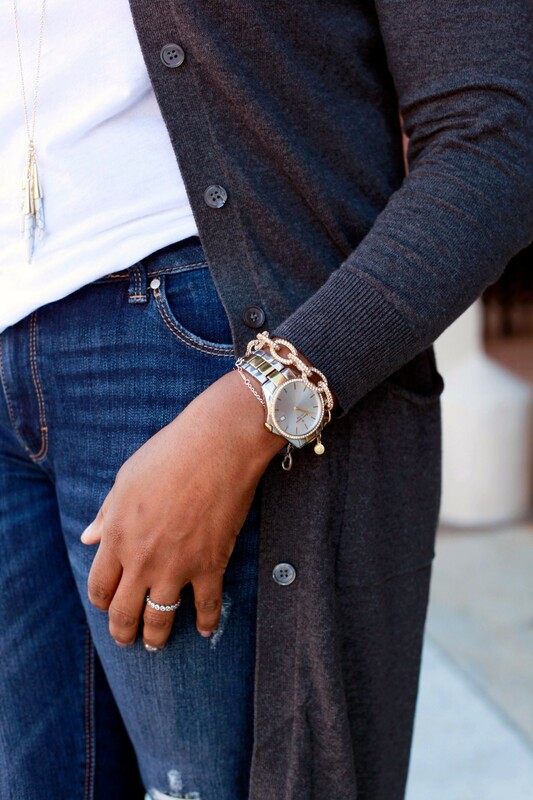 It’s available in this gray, red, tan, and a black and white combo in multiple sizes for less than $20. Not in Memphis, they take phone orders and ship! Cheers to busy weekends and all of you fly mommies! Next Post What You Need For Spring!